At Great Glen Yurts you can completely immerse yourself in a beautiful natural landscape. 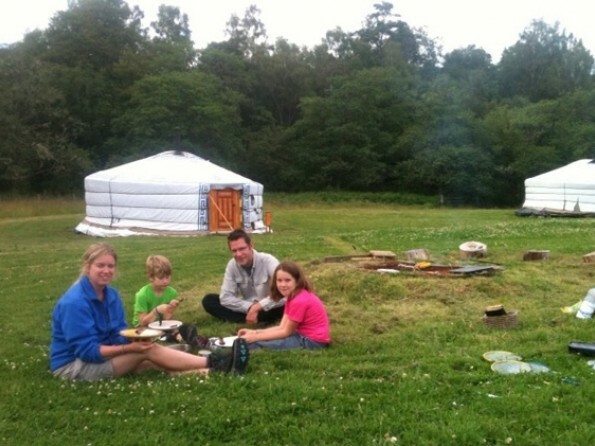 Set on an organic farm in the West Highlands, the yurts are cosy and stylish and the mountain scenery is spectacular. The yurt camp offers a wonderful outdoor camping experience without having to compromise on comfort. 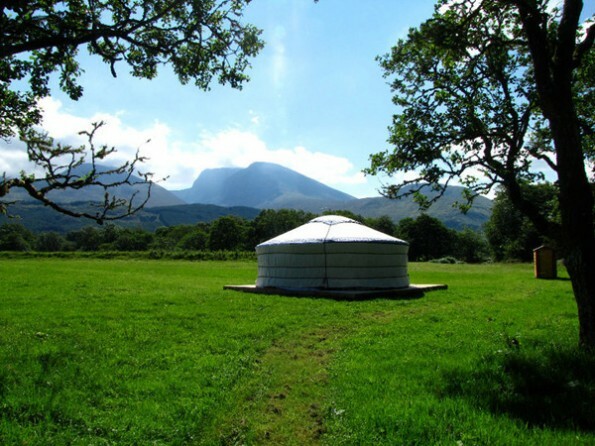 The authentic Mongolian yurts sit in a field at the foot of the North face of Ben Nevis and the backdrop is nothing short of breath-taking. The quiet riverside spot with panoramic views of woodland and mountains is the perfect place to really get away from it all and enjoy some fresh air, relaxation and peace and quiet. 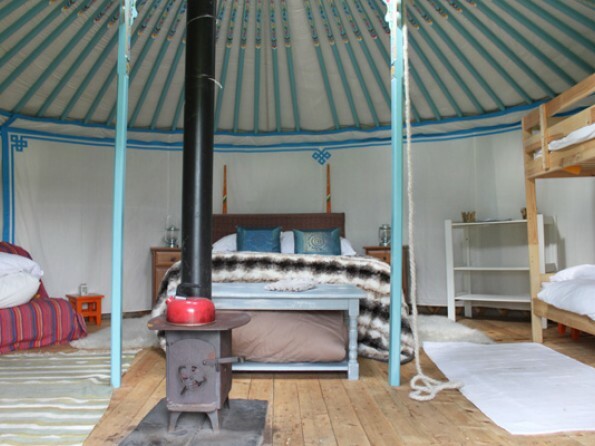 The yurts are beautifully furnished with super comfortable double beds, fluffy feather duvets and pillows, sheepskin rugs, lanterns and candles, and they are equipped with everything you might need, from coffee tables and stools to head torches, midge nets and thermoses. Come and escape. 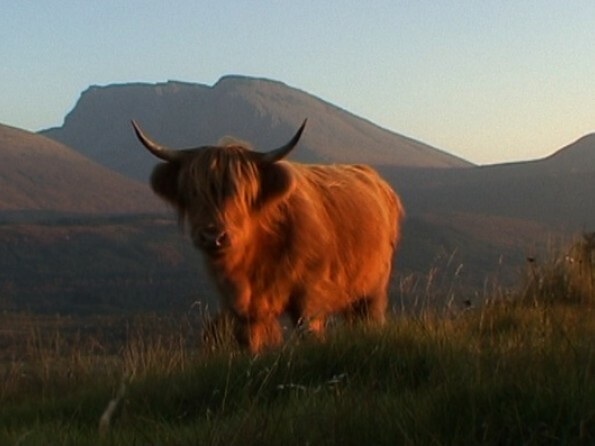 The Highlands are a playground for explorers, adventurers and adrenaline addicts but they are also one of the best places to unwind, so whatever sort of holiday you’re after, you will find it here. The yurt camp is only a mile from the famous mountain biking trails of Ben Nevis, and the West coast is a rambler’s paradise, whether you prefer mountain ridges or coastal paths. There are well-stocked trout fishing lochans all around, Lochaber has four great golf courses, and there are lots of opportunities for horse riding and climbing. If you head out of Fort William towards Arisaig you could take a boat trip to the small islands of Eigg, Muck and Rum, or you could try your hand at sea kayaking and go seal, dolphin and eagle spotting. Since we are located out of town and there is a very limited bus service, we recommend that you bring a car and/or bicycles. The nearest airports are Glasgow (2 hour drive) or Edinburgh (3 hour drive). By rail you can take a train or overnight sleeper to Fort William. You can also get a bus from Glasgow Centre or Edinburgh Centre to Fort William. If you’re coming by car we are located 3 miles to the North East of Fort William, a short distance off the A82 between Fort William and Spean Bridge. Look out for the sign to Great Glen Yurts when you reach Torlundy - left turn if coming from the Fort William direction, right turn if coming from the Spean Bridge/Inverness direction. Proceed down the minor road towards Tomacharich for 0.5km and look for our sign on the left, by the big red barn. All of the yurts are the same size, offering 28m2 (6m diameter) of lovely spacious round living where you can lie back and enjoy the colourful hand painted design and wooden roof struts splaying outwards and direct views of the North Face of Ben Nevis through the open door. The Family Yurts are set up with a double bed, bunk beds and a futon, and they sleep up to 5-6 people. The Sweetheart Yurt is designed for two or a small family/group and it has one double bed, a double futon and more chill out space. Outside there is a dry stone wall campfire and brazier and a spacious communal barn kitchen with a gas cooker, an oven and barbeque and a table and chairs for when the weather is wild. Compost loos are towards the rear of the camp and a shower block with piping hot showers and flushing loos is a 1 minute walk away. You will also find a cold water tap and an electricity plug should you need it. The yurts are located near the small village of Torlundy on a farm in a quiet riverside spot with spectacular views of the whole of the Nevis Range. 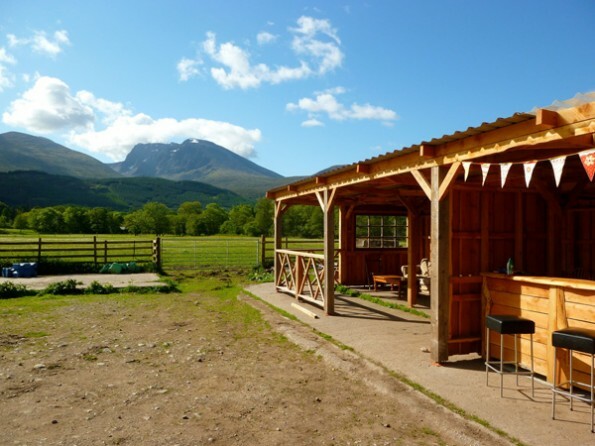 The farm is criss-crossed with woodland and riverside walks, where you can spend hours foraging and spotting wildlife, and it is bordered by a 3 mile stretch of the River Lochy, a famous salmon fishing river with lots of secluded swimming spots. The yurts are "off-grid" so you can enjoy the peace and adventure of living without electricity. Solar lights, wind-up lanterns and candles are provided for atmospheric, natural lighting and a wind-up head torch is available for reading or wandering around outside at night. 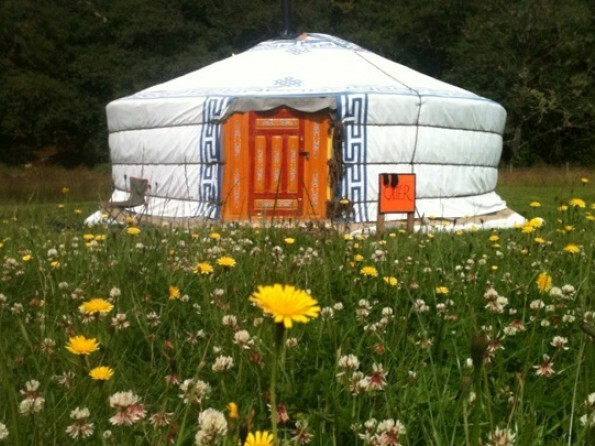 Here at the yurt camp we also offer yoga and healing treatments, and what better way to relax after a day of Highland walking than a deep tissue massage, a meditation class or a life coaching session? Please see the website for further details. 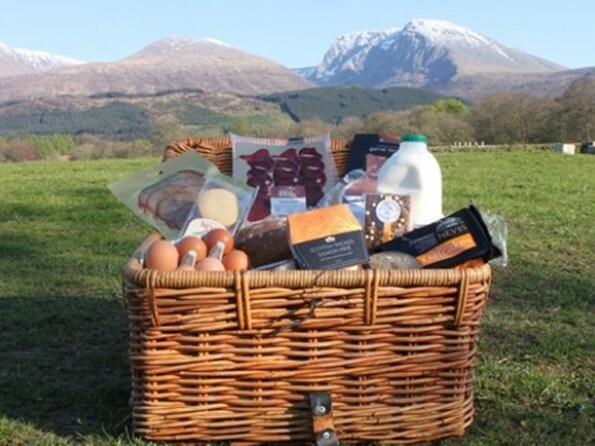 If you want, we can also order you a luxury hamper full of local delicacies to be delivered straight to your yurt door – the shortbread and smoked salmon is not to be missed!